The end of the year is having its usual effect on our real estate market on St. George Island, but it seems to be even more pronounced this year. Sellers are marking down their listings, ready to short sale them if they have to, and buyers are making their selections and headed to the check-out line. It is time to make a deal. 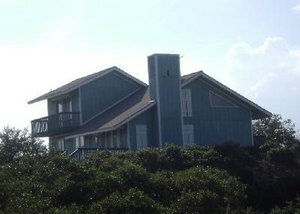 Top: A short sale on St. George Island listed at $199,000. This is a one-third acre lot, nice house, view of the gulf from both decks. Three bedroom, 2 bath, fireplace, tile floors, and a nice high dry lot on West Pine Street. My buyer was competing with 3 other contracts, and he had excellent instincts on what to bid and how. Cash is king on this island, for sure. Patience is the second virtue that will be needed to get a purchase through a short sale situation with a bank - their processes are not exactly what you might want to call "streamlined." But, it is worth the extra effort, and buyer, seller, buyer's agent and seller's agent all have their roles in making it successfully to the closing table. Bottom: Another short sale, moving through the system. 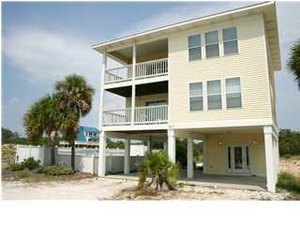 This customer of mine had been shopping on St. George Island for just the right deal for a couple of years, and finally went for this one, and made a very smart move. On Gulf Beach Drive, nice view of the water, with a pool, perfect to generate a nice rental income stream. According to the contractor who took a look at it, it can definitely be brought back into showcase shape with some strategically applied TLC. Again, if you are willing to take on a bit of a project, and keep a sharp eye out for costs, you can land that perfect property right now on St. George Island. So, who's next?? Email me at sbassett@stgeorgewired.com.